Prior to his entrepreneurial venture with UBGHI, a dynamic personality infused with entrepreneurial spirit GD has been actively playing role in leading the Top Management & board of advisory as a Management Consultant to Leading Companies in India & Abroad; His far-sighted vision and keen business acumen provide the necessary leadership and impetus to the group activities. He has around a decade plus experience in Human Resource & Management Consulting. GD is actively involved with the Confederation of Indian Healthcare Foundation (CIHF) and held important posts including Board Trustee & Secretary. Besides, GD serves as Founder & President for INDIAN MANAGEMENT ACADEMY, He also serves on councils of various other academic & industry related forums and he has widely travelled to different countries around the world for several times to attend seminars & conferences conducted by the various universities & councils. He was conferred a full Ph.D degree from KEISIE International University, South Korea in Management in the year 2009. Further to this in the year 2009 he was bestowed with an honorary degree of “Doctor of Philosophy” in education (Honoris Causa) by NWMD International University, South Africa for his contribution to industry and society as an academician. Since then he has been actively working as Adjunct Professor with KIU, South Korea as Academician and professor in management. Board Advisory Member of IFMS –Institute of Financial & Management Studies (IFMS, USA), Chief Advisor – International Journals of Multidisciplinary Research Academy (IJMRA), USA, Reviewer, International Journal of Business and Management (IJBM) – Canadian Center of Science and Education, Canada, Member Editorial Board – IJSTR,International Journal of Scientific & Technology Research (IJSTR) – Paris, France, Certified Manager – Cambridge Association of Managers, England, Certified Doctor of Business Administration – The Oxford Association of Management, Oxford, England, Honorary fellow Member – Institute of Company &Commrcial Accounts, Nigeria (ICCA). On the recent front he has been Awareded Full Professorship from Technological University of the Americas, Suriname and is now working with them as their Vice president- International Affairs and looking after the Academic tieup and collaborations for the university with his global connect apart from playing a role of an academcian. Among his recent achievement in academic is he as been appointed as Director – Quality Assurance in OIUCMED, MedicinaAlternativa (Alma-Ata-1962), Colombo, Srilanka. He is also working as Director- Asia for The British American University, Africa (Porto-Novo,Benin) which is also a very recent role which has been awarded to him by the board of BAU to look after the development for the asian region under his leadership. Very recently he has been invited to join in as the Board Member of Serbian Royal Academy of Science and Arts, Belgrade, Serbia. Apart from his business consulting profile Prof. (Dr.) G.D Singh is an eminent inspiring motivational speaker and corporate trainer on leadership, entrepreneurship, motivation, communication, personal excellence & various allied fields & subjects. 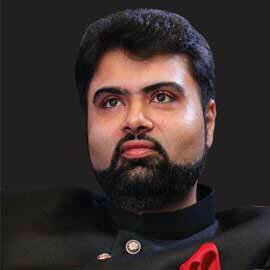 He has conducted training programs for the Corporate Sector and Student Community all over India and abroad. So far almost trained close to over 36,000 employees of various MNCs & leading corporate houses across the globe in INDIA & South East Asia. His seminars and workshops are well known for their high quality content backed by his unique and entertaining style of delivery. His programs are insightful and inspire action, building personal excellence and unleashing innate energies.